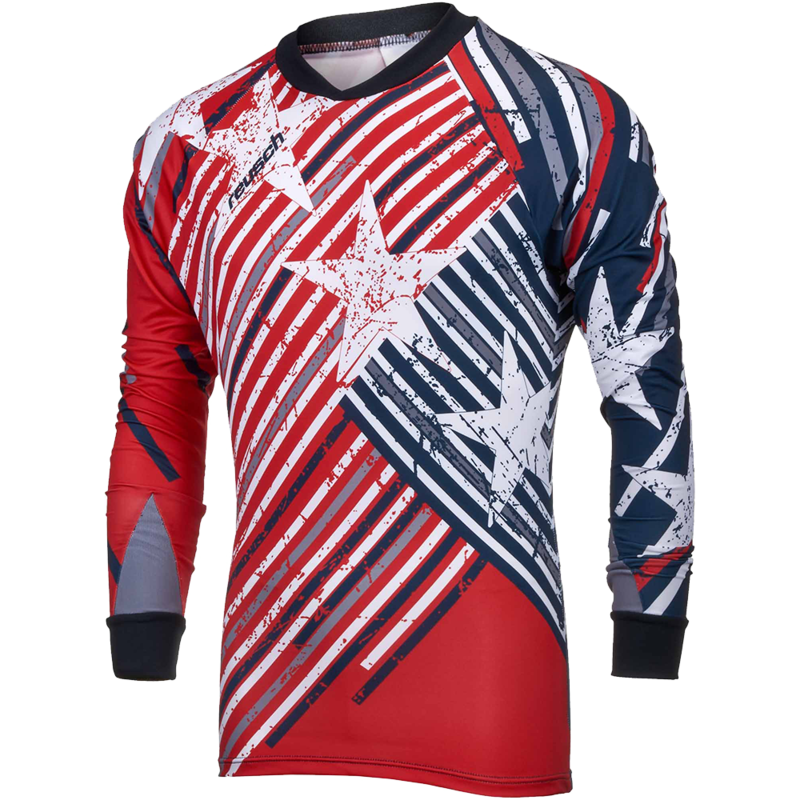 The Reusch Patriot II Pro-Fit Goalie Jersey featuring a USA themed design for the patriotic goalkeeper in your life. Reusch has used it's Moisture Management System fabric for comfort and breathability. This latest design showacses the Stretch Zone cuff, which allows the keeper to push the cuffs up the arm thanks to the expandable cuff area. Proprietary sublimated WICKFLEX is a 100% breathable polyester that features Reusch's Moisture Management System. This fabric helps wick away any moisture, keeping the goalkeeper cool and dry. The super patriotic USA design is sure to be a winner for you and your team! 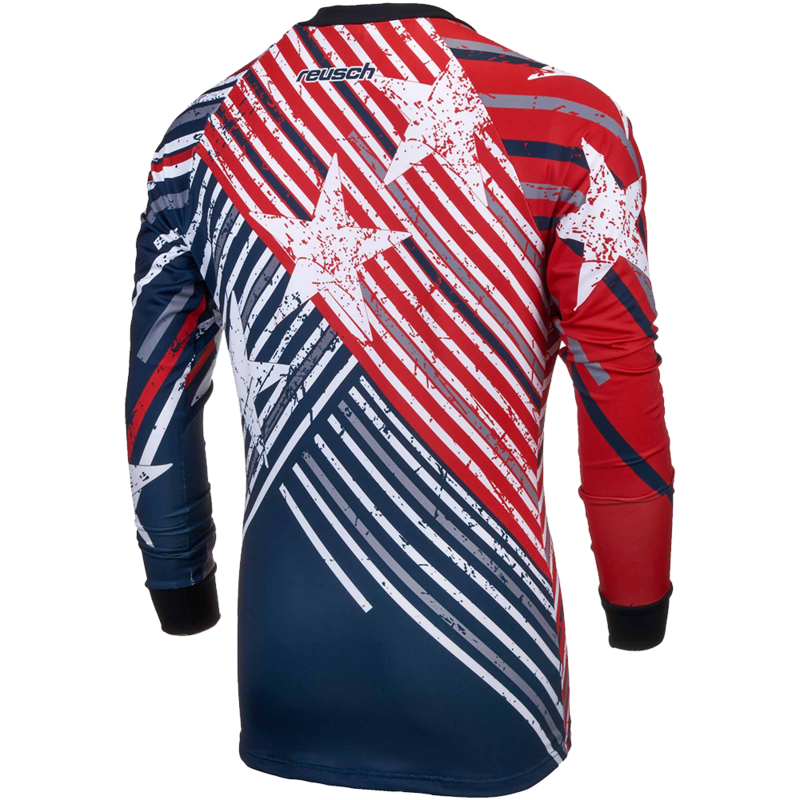 No padding on this Reusch USA themed jersey. Knit control cuff and collar. The Strect Zone cuffs allow the goalkeeper to slide the cuffs up the arm thanks to their expandable properties.